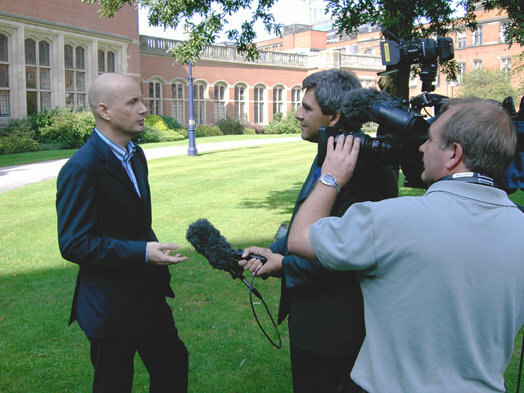 Chartered Psychologist, life coach and author Dr Gary Wood regularly contributes psychological insights, expert analysis and coaching tips to media features, including press, radio, and television. Areas of expertise include: Attitudes, stereotypes, prejudice, (life) coaching, goal setting, motivation, (self) confidence, (self) esteem, communications, teaching, learning, study skills, research, ethics, gender, relationships, sexual health and sexuality. See PsyCentral Blog for further information on the type of topics covered. Please read the following notes and then contact Dr Wood using the form below. He will also make substantial contributions to press, radio, television and internet features including programme development upon discussion of terms and fees. He is not able to provide general background information or answer requests to ‘pick his brains’ unless engaged on a consultancy basis and on discussion of terms and fees. He is not able to offer answer questions to multiple questions. This would constitute a co-authorship and would be subject to discuss of terms and fees. In keeping with BPS guidelines, he does NOT gossip about celebrities.